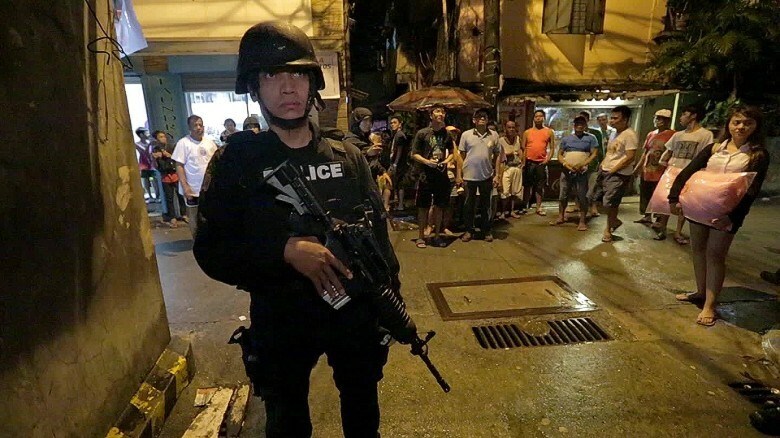 Philippine police killed 10 suspected drug peddlers and arrested 63 people in dozens of operations during the single deadliest night of the country’s ferocious war on drugs since police resumed participation in early December. Since President Rodrigo Duterte allowed police to resume operations following a two-month suspension over the death of an unarmed teenager, 88 people have been killed and close to 9,000 arrested, the latest police data show. The operations ran from Wednesday night through to Thursday morning in the province of Bulacan, north of Manila, the capital. This is the province where 32 people were killed in a single day in August last year, reports Reuters. Bulacan police chief Romeo Caramat said the 10 suspects were killed in eight different towns in 45 separate “buy-bust” incidents, or sting operations. Police say those operations usually involve officers posing as buyers in efforts to apprehend dealers, some of whom are killed because they violently resist. Caramat said 63 people were arrested and a dozen handguns, spent shells and about 270 packages of drugs were seized. More than 4,000 Filipinos have been killed by police during Duterte’s 19-month-old war on drugs, and hundreds more by unidentified armed men. Most killings have been in rundown areas of Metro Manila and the nearby provinces of Bulacan and Cavite. Human rights groups and Duterte’s political opponents say executions of drug users and small-time peddlers are widespread, but police insist those killed were all dealers who put up violent resistance. Police cite about 120,000 arrests as proof the anti-drugs campaign is not an extermination campaign targeting users and sellers of drugs. This month, a prosecutor at the International Criminal Court (ICC) in the Hague opened a preliminary examination into a complaint accusing Duterte and at least 11 officials of crimes against humanity. Duterte has welcomed the ICC complaint, and said he was willing to rot in jail to protect Filipinos. He has often complained human rights groups were undermining his campaign. The operations ran from Wednesday night through to Thursday morning in the province of Bulacan, north of Manila, the capital. This is the province where 32 people were killed in a single day in August last year, reports Reuters.